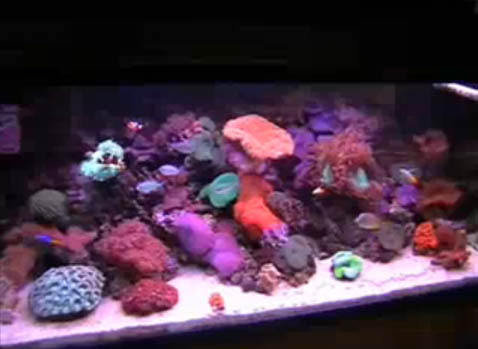 A beautiful video of this 75g reef tank. The tank is bright and colorful, and we really like the fish selection. simple and beautiful. Just a quick updated vid of the tank..Its been slightly re-arranged, and is no longer home to the two Tridacna Maxima clams. Just getting over a long battle with cyano bacteria, but its on the home tretch and looking nice and clean again. Enjoy.